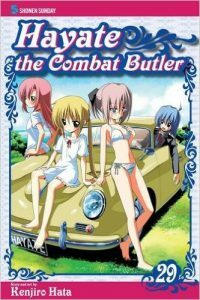 * Sean Gaffney on Hayate The Combat Butler Vol. 29. Todd Klein on The Flash #9. Alex Hoffman on Yazar & Arkadas and Escape Route. Paul O'Brien on Uncanny X-Men #16-18. * get well soon, Stan Lee. There was a small surge in Stan Lee Is Dead rumors mid-week, and I'm guessing this undefined health issue was the cause. * not comics: Abraham Riesman muses on the nature of comics adaptations through the prism of the imminent Iron Fist release. That show has been pounded in reviews of its first six episodes. As little as I think about such things at all, I think it would have been smart of Marvel to cast its Dr. Strange and Iron Fist characters as people of color just because I think it would have been a better overall look for the audience they wish to continue reaching a dozen years from now. The resonances shift, too. That said, this Iron Fist show just looks like a terrible TV show with poorly executed fight scenes and boring actors, and I suspect it will live or die on what's on the screen. Also, I remember liking the Fraction/Brubaker/Aja version of Iron Fist just fine. Dude punched a train. While I'm draining my lifetime's allotment of time spent babbling about Iron Fist, the main thing I've always thought lacking about the character is the "billionaire" part of the "kung-fu billionaire" conception. I don't recall anything clever about that element of the character's story, and this looks not to have solved that, either. * finally, this is a nice story about the late Jay Lynch, Paul Krassner and Quimby's.